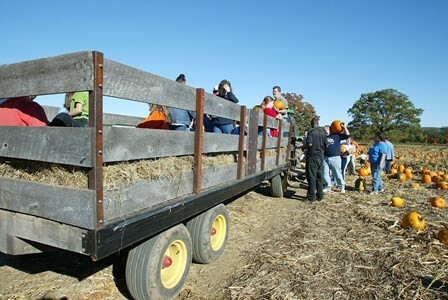 Enjoy a hayride to our pumpkin patch! Adults and children are welcome to join us every weekend in October for the perfect outdoor Fall experience. Live music will also be available in our seating area where guests can enjoy a glass of wine and tasty food items from our featured food truck vendor for the day. Copyright 2016 Heritages Vineyards, All Right Reserved.